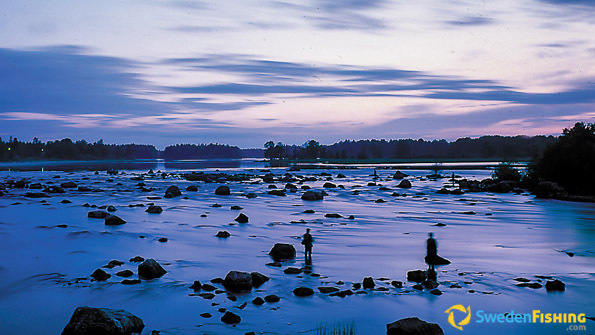 The Nedre or Lower Dalälven River area is a 200 km highly varied fishing region with a landscape that shifts between bays and lakes filled with islands and rapid waters. There are some 30 different fish species here. Close to the delta on the Gulf of Bothnia you will find some of the best salmon and ocean trout waters. The entire area is a vary important stretch of nature, with its central part forming a national park and the entire segment recognized as a biosphere reserve. At Nedre Dalälven River we speak Swedish, English, German, French and Russian with our guests. The Älvkarleby fishing area is open from March 15 through November 30. The best salmon fishing is in June-July and the best for ocean trout is March-early May, as well as September through November. 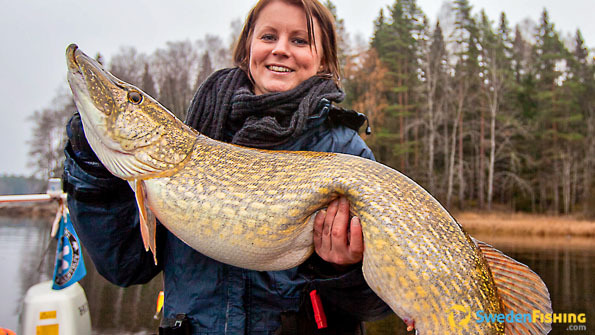 Pike, pikeperch and perch are prefer open water, in most years from April through November. Many foreign visitors set aside a day Stockholm, Sweden’s capital only a few hours away. The area itself offers very high natural experiences, including a national park with a permanent exhibition in Gysinge. The stretch from Lake Håvran at Hedemora down to the Marmafjärden Bay is considered one of Sweden’s most interesting fishing areas for pikeperch, perch and pike. Local records: Pike – 18 000 g; Pikeperch – 11 705 g (Swedish fresh-water record); Perch – 2 000 g; Salmon – 27 979 g (Swedish fresh-water record); Ocean trout – 13 000 g; Silver bream – 1 480 g (Swedish record); and ide – 3 500g. We custom-make and book various fishing experiences and lodging, ranging from simpler youth hostels to cabins or hotels, all close to the river. The packages can be with or without professional guides available to share their expertise regarding the waters and the various species – salmon, ocean trout, pike, pikeperch, perch or various white fish. The boats we have for hire are Linder 400 Fishing, while the guide boats are larger. Salmon and sea trout in Älvkarleby – two-handed fly-rod or larger spin-rod for at least 0.40 line. Pike, perch and pikeperch – normal equipment for pike exceeding 10 kg and pikeperch over 8 kg. Jig or other spin-fishing equipment for perch. Grayling and brown trout – traditional fly-fishing for fishes up to 1 5oo kg. Whitefish – traditional coarse fishing equipment. Regulations vary in different areas and information must be sought there. In Älvkarleby – 3 salmon and sea trout/day; minimum size: salmon – 50 cm, ocean trout – 45 cm. Pike exceeding 80 cm must be released. Minimum size for pikeperch – 45 cm. No rules for perch. 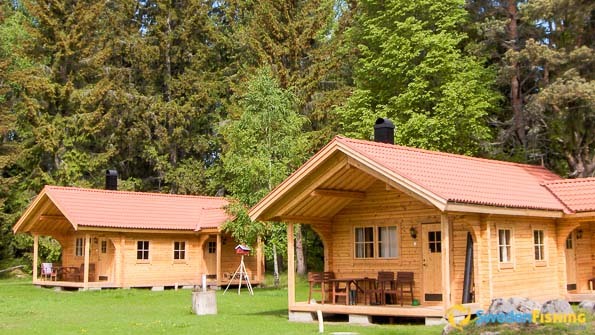 The Nedre Dalälven River has lodgings that suit everyone who visits us. For the nature lover there are both self-catering cabins and camp sites in private locations near the river or one of its lovely bays. Should you wish higher standards, there are hotels in natural settings near the fishing waters. For those on smaller budgets there are youth hostels offering good standard facing the river in natural settings. The Dalälven River flows west to east emptying in the Gulf of Bothnia S of Gävle, a two hour trip by car from Stockholm and 1.5 hrs from Arlanda Airport. The distance from Stockholm is 150 km and from the airport 120 km, both depending on where in the area you are going.